When Mike Edwards won the British indoor high jump title in Birmingham in February, he told AW he was poised to compete for Nigeria at the Commonwealth Games in Australia. The 27-year-old has since travelled to the event, which starts in a few days’ time on the Gold Coast, but he has been warned by the International Association of Athletics Federations that he is ineligible due to the transfer of allegiance process being frozen. Edwards was born in Manchester, England, but his mother is Nigerian and his father is Jamaican and he has spent long periods in the United States at school and college. He was aware before travelling to Australia that the IAAF had frozen the transfer of allegiance process in order to stop athletes nation-hopping from one country to another. But the high jumper felt he would be able to compete on the Gold Coast because he holds a Nigerian passport, the Commonwealth Games is not an IAAF event and, whereas he competed for Britain as an under-20 at the European Junior Championships, it was back in 2009. However Edwards has received a letter from Olivier Gers, the out-going chief executive of the IAAF, who says there are no rules currently in force to allow him to transfer allegiance from Great Britain to Nigeria. 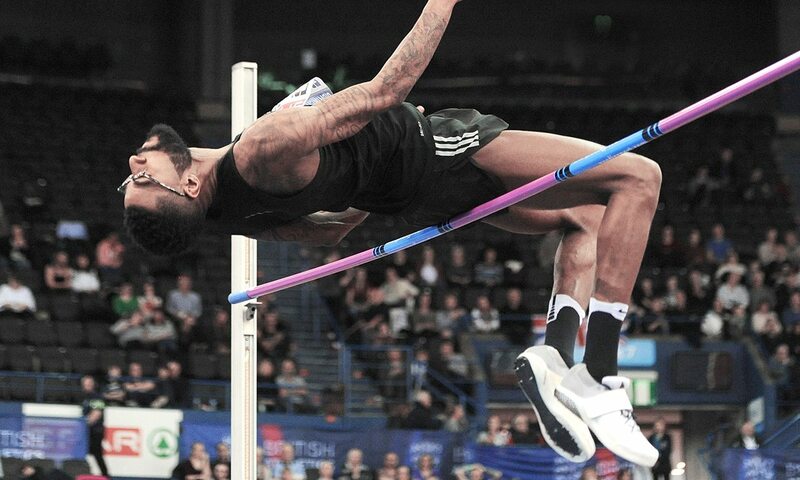 Outside athletics, Edwards runs his own company, Aireyys, producing quality cigars and he is engaged to British athlete Perri Shakes-Drayton, while he celebrated his national title win in Arena Birmingham earlier this year by standing on the podium with a bottle of champagne and one of his cigars. AW understands that British Athletics has no objection to Edwards competing for Nigeria, but the IAAF will not give Edwards its blessing to compete for the African country until its new transfer of allegiance rules are in place. The issue was discussed at a recent IAAF meeting in Birmingham and a series of guiding principles were agreed upon – including a three-year waiting period for athletes wishing to switch countries – but these ideas are not set to be approved until the IAAF Council’s next meeting in July.